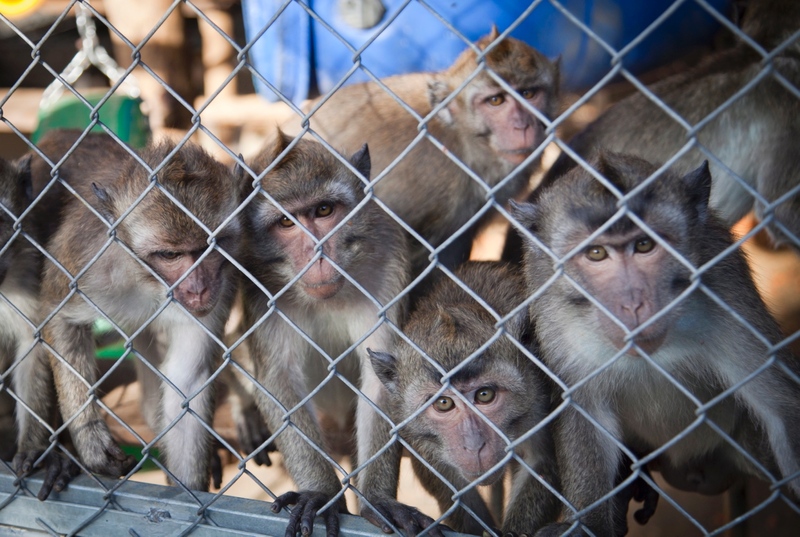 Tucked away in rural southwest Miami-Dade, Worldwide Primates (WWP) is one of the largest suppliers of monkeys for experimentation in the United States. Since 1980, the company has served as a one-stop shop for primate buyers, offering live animals as well as contract breeding and biological specimens (blood, tissues, and organs). WWP first made headlines in 1993, when founder Matthew Block was sentenced to 13 months in prison for smuggling endangered baby orangutans in what became known as the “Bangkok six” affair. Now Block’s company is back in the news, thanks to our campaign to put it out of business once and for all. The lives of countless macaques, squirrel monkeys, baboons, and other primates have been violently destroyed at the hands of Worldwide Primates over the years—all in the name of fraudulent science and profit. But the suffering doesn’t have to continue. Together we can make history for animals in labs and #ShutDownWWP!